Shai Agassi is the founder of Project Better Place, the battery recharging initiative out of which we powered our Manhattan Concept and some of our Hawaii Concepts. As of this week, they have signed a deal with Hawaii to put in a network of charging stations. 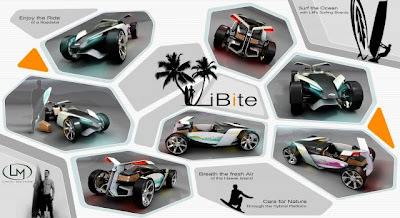 Perhaps we will soon see the iBite on the roads of Oahu? In the meantime, we will keep designing and building. I very much agreed with most of what Shai had to say, however, I am still mystified as to why he or Better Place will not share their system standards so that all of us can make cars that work on his network. Nonetheless, they continue work apace with Renault/Nissan to develope and to produce a large inventory of cars. Not to fear. We will soon emerge as a leading contender for their production battery and system. 0814jejeasics gel fuji attack cena Cependant, il n'est air jordan homme noir et rouge vraiment pas compatible avec le polyéthylène et le polypro. Cette chaussure nike roshe run personnaliser compagnie de vêtements a un style attrayant surtout Adidas Zx 850 Pour Femme quand il s'agit de la mode Hip nike air jordan 6 femme Hop. WBF Puerto Rico Red White Force air jordan 1 flight aérienne 1 Faible 318775 601Quand la NBA Kobe Bryant asics au meilleur prix signifiant SONY cet été après 2007, SONY asics gel lyte 5 camo a donné son cadeau est un paire de global limité.